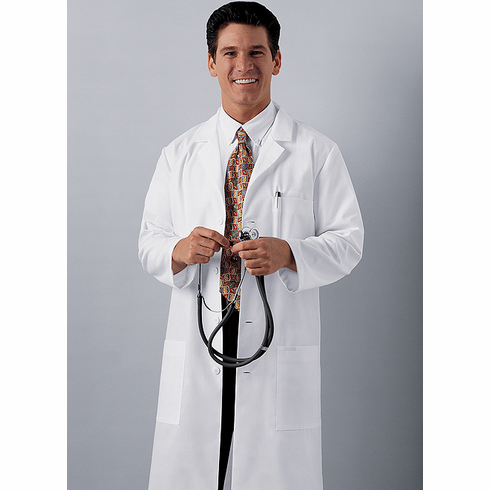 This Lab Coat from Cherokee is a Unisex 40 inch center length all purpose lab jacket. Features two roomy patch pockets, a chest pocket with a pencil stitch, and vented back. Fabric is 55% Cotton and 45% Polyester.